I’m from abroad so my English will not be that good. 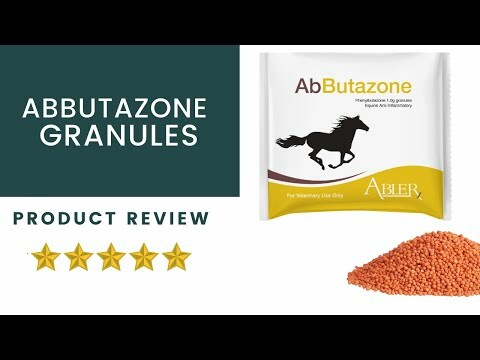 But I still wanted to let you know how happy I am with the possibility to get AbButazone for my old horse. On rainy days she stops moving around in the meadow. She does not believe the rug will keep her dry enough so thinks she must stand still with her behind towards the rain. This will get her in a circle of getting stiff-not wanting to move because of that-getting more soar. With a few days of AbButazone she will walk again and can manage herself.